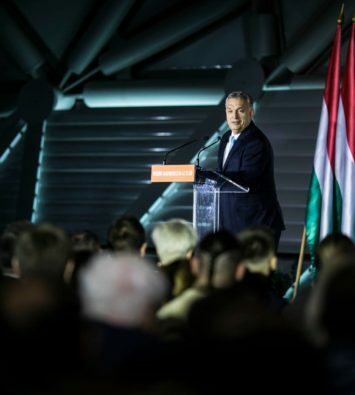 Hungary – I explained in a previous article why Viktor Orbán’s FIDESZ staying in power was a condition of survival (successfully met for the time being) for the Visegrad Group. The opposite is no less true – and this, for reasons partly relatively well known (since of a rather general character), partly more obscure (because more idiosyncratic, and appearing only at the price of more detailed knowledge of regional realities). In the first category, of course, there is the principle that “unity is strength”, especially within the European institutions: a well-known motive, given that it belongs to the official repertoire of FIDESZ’s political communication, which does not miss any occasion to recall how – thanks to the veto procedure, which so much annoys Paris and Berlin – the Polish-Hungarian alliance is able to durably neutralize the Article 7 blackmail, which the imperial center would like to use to limit the political sovereignty of its de facto economic colonies of Central Europe. 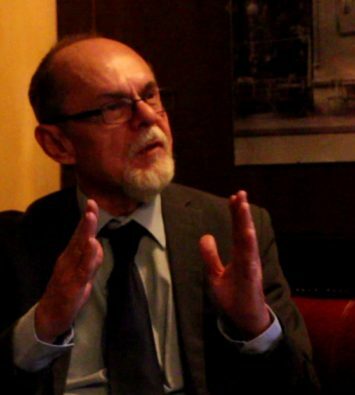 In the article cited above, I also recalled why, despite the secondary position Hungary occupies behind Poland from a demographic and economic point of view, the V4 is inconceivable without Hungary, which provides the group its center of gravity in many fields, including geopolitics (through its policy of opening to the East), socio-economics, culture and religion. Nevertheless, one could argue that no one is irreplaceable, and that in terms of alliance within the Community institutions, any shortcoming in the system (for example in the event of the defection of the very labile Slovakia, or a Czech Republic whose socialist tropism contrasts with the apparent economic liberalism fashionable in Warsaw and Budapest) could be compensated by new recruits (in this connection, there has been much talk for some time about Austria, and recently also about Italy). This is a popular discourse in various neo-conservative circles in Western Europe, particularly in France (where it serves above all to provide internal credibility to the recurring union des droites myth); it is generally linked to a (voluntarily or not) myopic perception of the V4, tending to reduce it to an anti-immigration revolt liable to spread to Western Europe as part of a utopian rightist “reform” of the EU. This vision of things seems to me unrealistic. 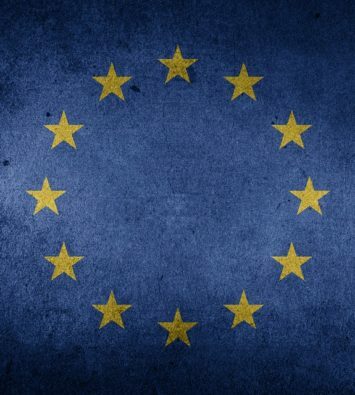 In my opinion, the only scenario in which a transversal alternative political axis linking various states on both sides of the old Iron Curtain might appear is that of a break-up of the EU, which the V4, for the moment, does not desire. But above all, even disregarding the real chances of EU reorientation and/or the generalization of “illiberal” policies in migration issues and/or other areas, Hungary, from my point of view, has its own reasons for giving priority to a V4-type regional integration on ideology-based “off-shore” alliances beyond the symbolic (but not only symbolic) line of the old Iron Curtain. These reasons are in part due to the general architecture of the V4, and partly to the history and the specific ethnico-political sociology of the Carpathian Basin. Here again, in the first category, there are reasons which it is relatively easy to deduce from the general map of the nation-states of Central Europe: currently slightly eccentric geographically within a V4 whose center of geo-demographic and economic gravity is in southern Poland, while its symbolic international representation is primarily ensured by the very charismatic Viktor Orbán, Hungary can only hope for an enlargement to the south, likely to strengthen its centrality within the V4 architecture – though this could certainly be achieved to a certain extent by the integration of Austria, as well as by the integration of Serbia (two countries of comparable size, both tending towards a neutral position in East-West relations). On the other hand, there are also reasons (less legible from a “bird’s-eye view” than the reasons listed above) why, for Hungary in particular, in the medium and long term, the non-integration of its southern periphery (meaning primarily: Serbia and Romania; secondarily: the other post-Yugoslav states and Bulgaria) – or worse: their integration into third-party structures hostile to Visegrad – would be a most serious problem. To understand this, it is necessary to return to the history of the strategies adopted by FIDESZ for the management of the major diplomatic problem inherited by all Hungarian authorities since 1918: the ethnico-geographical consequences of the Treaty of Trianon. 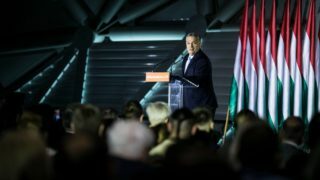 During the 1990s and 2000s, the attitude of what Hungarian historiography will probably end up calling the “first FIDESZ” (still relatively liberal and Europhile) was characterized by a “non-violent irredentism” of de facto accepting (as all previous governments since 1945) the territorial consequences of the treaty, but refusing (in a simplified wording) the “demographic consequences” – that is to say: affirming (unlike the Hungarian “left”) that the Hungarian nation is constituted on the one hand by all citizens of “little Hungary” (the post-1918 Republic of Hungary – including its ethnic minorities: Germans, Jews, Gypsies, Romanians…), on the other hand, by all Hungarian-speakers living in territories formerly dependent on the Hungarian Crown. As soon as FIDESZ came back to power in 2010, this doctrine gradually became a reality through the granting (now almost universally achieved) of Hungarian citizenship to all members of the Hungarian minorities in neighboring states (i.e., first and foremost: Romania, Slovakia, Serbia and Ukraine – in order of demographic importance). Let us note in passing a first contradiction of this new post-Westphalian configuration of the Hungarian identity: one can be Hungarian by right of the soil (in “little Hungary”, even when one is ethnically “Swabian”, Gypsy, Slovak, etc. ), or according to ethnic criteria (ancestor citizens of the kingdom before 1918 + conservation of the language). In itself, this contradiction is not a problem for Hungary at present: the minorities of “little Hungary” are well integrated, and the rare Romanian from Transylvania, Ukrainian from Transcarpathia, etc. who chose to take advantage of the system’s “Achilles heel” (i.e. the impossibility of defining “scientifically” ethnicity in the remnants of the multi-ethnic empire once called Austria-Hungary), in pretending to be Hungarian, did so with the aim of emigrating to Hungary – which, in the midst of a demographic crisis, does not mind regional immigration – all the least since it chose not to take advantage of the “bonanza” of extra-European migratory flows. 2) the neutralization of a possible Romanian counteroffensive by the informal deal which Viktor Orbán and Traian Băsescu struck during the latter’s second term: while FIDESZ was distributing Hungarian passports in Transylvania, Romania flooded the Republic of Moldova with Romanian passports (posing the same fundamental problem); since the two leaders seemed at the time to belong to the same camp (both of them being the winners of an “Orange Revolution”), transatlantic agent Traian Băsescu basically judged (or was told) that the objective of Moldova’s “Euro-Atlantic integration” (against Russia) took precedence over traditional Romanian concerns about the status of Transylvania. This last point also helps to understand why, beyond FIDESZ’s extremely skillful case-by-case management, this “trans-territorial nation” policy did not seem to pose major problems in the given political and ideological context of the late 2000s and early 2010s: before Brexit, the prospect of European integration, still experienced as an irreversible fate, ipso facto guaranteed the overtaking of the Westphalian framework of territorial nations as it had been initially imagined by Jean Bodin. Everybody’s main concern was therefore to position oneself as favorably as possible at the eve of post-sovereignty. But in the meantime, the very progress of this integration process brought to the surface of the European nations’ collective consciousnesses a deep divergence of interest and worldview between the two sides of the old Iron Curtain of such a magnitude that divorce is now conceivable – at the very moment when, moreover, Southern Europe is becoming painfully aware of the reality of this European construction as that of an economic trap set for it by Germany. 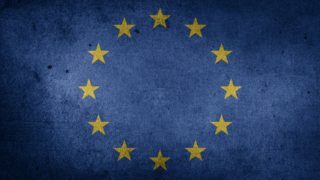 With a new context, a new discourse: starting from, in particular, the second term of the current series (2014-18), FIDESZ, targeted – like Poland’s PiS – by the Western media oligopoly, adopts vis-à-vis Brussels a “soft sovereignist” line, which aims to be a constructive but firm criticism of the liberal-libertarian European construction. From an electoral point of view in Hungary, needless to say how successful this political choice, combined with the psychological shock of the migration crisis, has proven to be. From the point of view of Hungary’s relations with its neighbors, however, this choice has also had far-reaching consequences: formerly mainly focused on (more or less realistic) objectives of territorial autonomy in the framework of negotiations whose main actor on the Hungarian side was, in each country, the (usually unique) party of the Hungarian minority, and ideologically backed by the discourse of “tolerance” embedded in European utopia, Hungary’s regional policy rather suddenly became a state-to-state policy, based on a Westphalian-style give-and-take, bypassing local Hungarian parties, or turning them into merely local transmission belts of FIDESZ’s will (and exposed, as such, to retaliatory measures of the West and the West’s local allies). While this has not lead to spectacular results yet, this policy turns out (as a brilliant analysis by Transylvanian political scientist Miklós Bakk shows) to be far more effective than the old one (which consisted for the most part, especially in Romania, of providing a glamorous “European” rhetorical camouflage for the reality of local Hungarian elites largely coopted – by intimidation and bribes – by the deep state of the post-Trianon states): in 2017 – an evolution unheard of since the end of communism – a Romanian leader (Liviu Dragnea, de facto leader of the ruling coalition in Bucharest) officially announced the establishment of “cordial relations” with his Hungarian counterpart in the framework of informal telephone discussions on the situation of the Hungarian minority in Romania, and pledged his support in solving concrete problems of said minority (especially in the infamous case of the Catholic high school in Marosvásárhely / Târgu-Mureş). 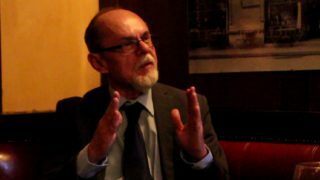 But, as one might expect, the enemies of Viktor Orbán’s Hungary (including his internal enemies within the Hungarian minorities, such as the Transylvanian “expert” Levente Salat, former director of the Romanian branch of the Open Society Foundation) have very quickly understood how much potential of discord-fomenting was opened up by this strategic shift – more precisely: by the chronological pile-up of the two successive Carpathian policies of FIDESZ. 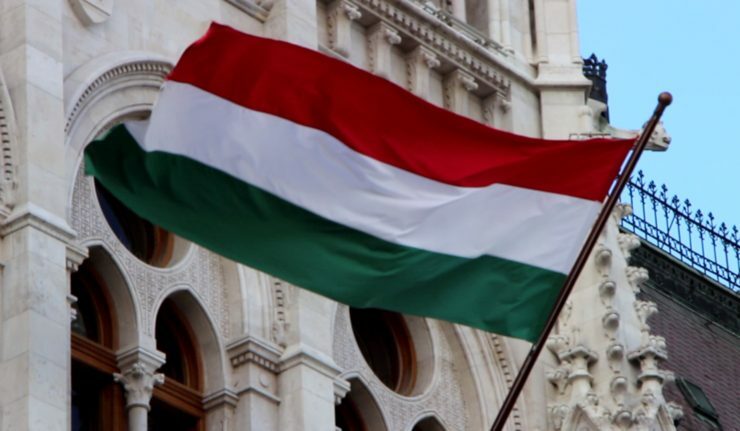 Although violent irredentism remains – as has been the case since at least 1945 – an option totally absent from the real agenda of all official parties in Hungary, considering, for instance, that most of the Magyars living in Transylvania’s Szekler Land are by now equipped with a Hungarian passport, it becomes more difficult to make Romanian opinion believe that a project of Szekler territorial autonomy would not lead to a de facto annexation of the Szekler Land to Hungary. Even if such prospects are still largely phantasmagorical, in Romania as elsewhere, many minds are, to varying degrees, sensitive to the apparent paradox of a Hungary which, in Brussels, presents itself as a territorial state anxious to defend its borders (against undesirable migratory flows, external political interference, etc. ), but acts in the region as a trans-territorial ethnic state creating civic enclaves on the territory of its neighbors. This sensitivity is already exacerbated, in the case of Romania, by several years of a brutal magyarophobic campaign by all media and political sectors of Western obedience, no matter whether “right” or “left” – which I have described in past articles (especially here, here and here). 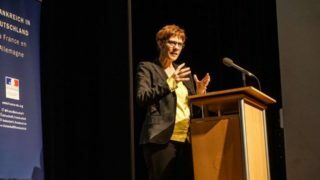 1) In terms of political philosophy, it potentially opens the way to an overcoming of the now sterile confrontation of the Bodin-inspired Westphalian status quo and liberal cosmopolitanism inspired by Kant, proposing to the ethnic mosaic of Median Europe a project based on the values that the Brussels Union has always proclaimed, while simultaneous carefully avoiding putting them into practice: regionalism, subsidiarity and respect for cultural differences. 2) In terms of spatial organization, regional integration also cancels out the apparent contradiction between rooted minorities and regional internal mobility: the question is no longer whether Hungary wants to “constitute ethnic enclaves” or to “syphon onto its territory” Hungarian speaking populations; in fact, there are already Hungarians from Hungary (retired people, self-employed professionals, first-generation farmers, etc.) who are settling in Transylvania in search of a better quality of life or investment opportunities, and Transylvanians who are resettling in their land after a successful career in Hungary, while part of the Romanian economic emigration has already diverted from a saturated Western Europe and reoriented towards lower paying but geographically and culturally closer Hungary, Czech Republic and Poland. The intensification of internal trade in the region (especially between Hungary and Romania) is pointing in the same direction. 3) In psychological terms, it offers Hungary the instrument to neutralize some of the most important historical phobias of its neighbors, heirs of Trianon, and in particular, in the case of Romania (internally paralyzed politically by a conflict between its democratic institutions and a deep state under Western influence), its panic fear of finding itself diplomatically isolated against an ascending Hungary surrounded by reliable allies. The multilateralization of the problem, by inviting to the negotiating table other regional states affected by comparable historical disputes with Hungary (such as Slovakia), provides a credible guarantee in this sense. 4) In terms of the most day-to-day politics (naturally dominated by clan rivalries and related economic interests), the Visegrad perspective, combined with the Eastern opening (i.e., from an economic point of view, especially opening to China), gives the elites of Hungary’s southern neighbors the hope of “getting a piece of the action” in projects (including infrastructure) likely to fulfill the development promises initially made by the European Union (but for the most part never held by the latter), thus to constitute a perfect “electoral bait” allowing them to stay in power. a) The premeditated sabotage campaigns of the West, which, though increasingly divided on a global scale, nonetheless works – in Berlin as well as in Washington – under the consideration that it already has too many global competitors to allow itself the luxury to let emerge a new pole of power between itself and Russia – to which must unfortunately also be added the more or less hostile passivity of Russia, where some power circles, under the weight of historical inertia, continue to prefer the option of negotiating “directly” with Germany, “over the head” of Median Europe. b) The historical-psychological inertia of nationalisms in post-Trianon legacy states, with latent fears just waiting to be awakened by the aforementioned sabotage campaigns. c) Last but not least, paradoxically, a significant obstacle comes from the state of mind of the Hungarian minorities themselves, whose elites, after decades of cheap material and moral comfort (ensured by a gatekeeper position between the central powers of Bucharest, Bratislava, etc., and the local Hungarian-speaking population, ideologically glamorized by their role as eternal victims deserving constant love and financing from the Western-funded “civil society”), can hardly adapt to the new context: on the one hand, because the real achievements of the new multilateral policy could easily highlight the inefficiency of their own management over the last thirty years; on the other hand, because they have trouble adapting to their new status of “irredentist” and “illiberal” scapegoats in the discourse of this very same civil society which, as recently as three or four years ago, was still so prone to (verbally) defend them and co-opt them (with well-paid sinecures). Even assuming that these three factors are of equal importance, it is quite obvious that Viktor Orbán’s Hungary has a direct influence (notably through funding) only on the third one (which, in turn, could noticeably influence the second), and that it will be successful only if this influence is exploited as quickly as possible. 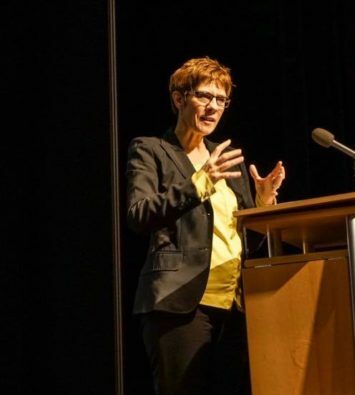 This, however, will happen only provided there is a will to do so – which brings us back to another potential weakness of the current Hungarian project: the inability or unwillingness of some FIDESZ elites to take ideological note of the de facto strategic shift of the last decade, by repudiating the outdated mantras of the “first FIDESZ” (in short: liberalism, occidentalism, chauvinism, uncritical anti-communism), which many have already been able to silence in Budapest, but which the Hungarian elites of neighboring countries, from the height of their status as unassailable victims, think they can perpetuate indefinitely – possibly even to the detriment of their well-understood national and regional interests.